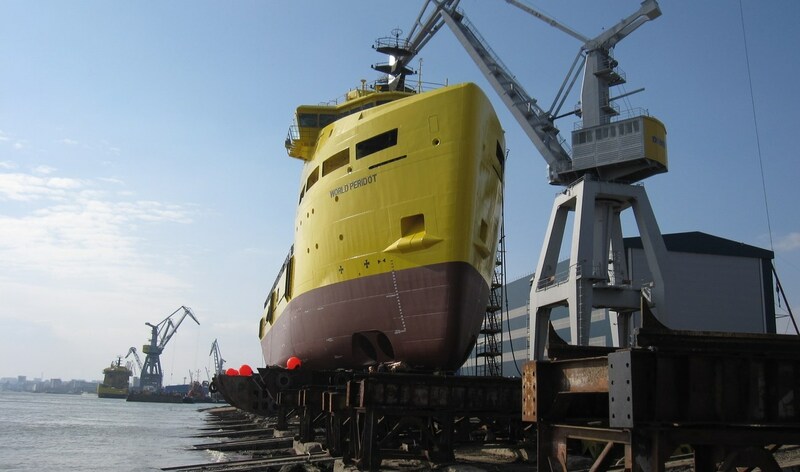 Home › Platform Supply Vessel › Platform Supply Vessel 3300 CD › Platform Supply Vessel 3300 "World Peridot"
Galati August 22nd, 2013. Damen Shipyards Galati has handed over the second Platform Supply Vessel in a series order heralding a new era in offshore construction for Damen Shipyards Group. “World Peridot”, built to Damen’s innovative PSV 3300 design, has been delivered to World Wide Supply as part of the Norwegian owner’s latest commitment to cutting edge, modern tonnage. Delivery comes just seven weeks after the handover of the first PSV 3300, “World Diamond”, and is part of a rolling six-ship handover schedule from Damen for WWS.